Are you suffering from constipation? The bloating and the annoyance are just simple side effects of constipation. Long term constipation is very unhealthy for the body and can cause damage to your digestive tract and liver. You must have tried plenty of OTC medications and home remedies to get some relief, but we are sure that you have not tried the ingredient we are going to talk about. Well, as unlikely as it may seem, orange juice can actually give you relief from constipation. Wondering how this common breakfast juice can help prevent constipation? Then, you must read this post. How does orange juice help relieve constipation? This delicious and beneficial juice is full of fiber, which, as you know, plays an important role in facilitating the bowel movement (1). When you do not get enough fiber in your diet, it wreaks havoc with your digestive system. 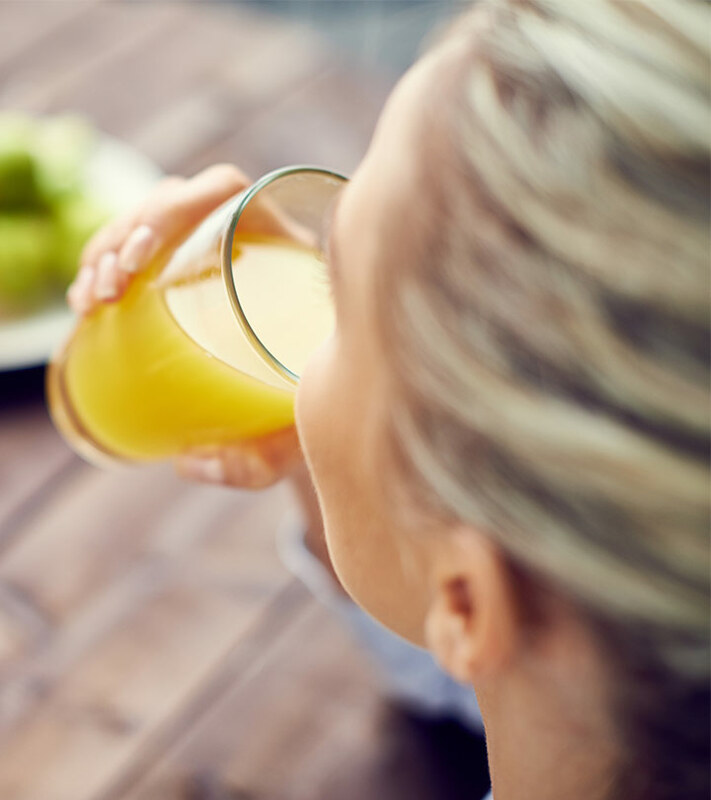 Drinking orange juice with the pulp gives you the fiber you need and stimulates your bowels, allowing you to go to the bathroom without any problem. Orange juice also stimulates the bowel movement by enhancing the peristaltic activity, which pushes the food through the colon and causes it to be eliminated from the body (2). 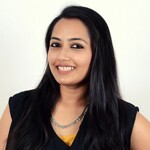 Here is how you can combine orange juice with various ingredients from your pantry and multiply its beneficial effects. Mix the olive oil with orange juice. Castor oil, flaxseed oil or mineral oil can also be used instead of olive oil to achieve the same result. 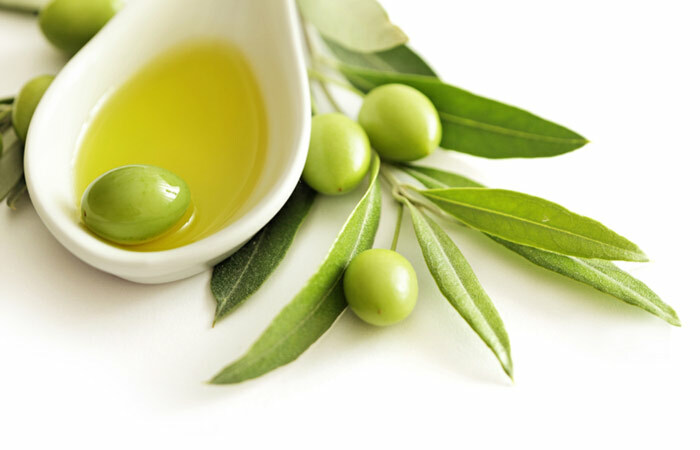 Olive oil is another great home remedy for constipation. Its consistency and texture make it very effective in treating this problem. It also helps in stimulating the digestive system, which in turn helps in moving things through the colon. When you take it regularly, it can prevent constipation from affecting you in the future as well (3). Combine the two juices together and drink it. If required, drink this juice combination again after a few hours. 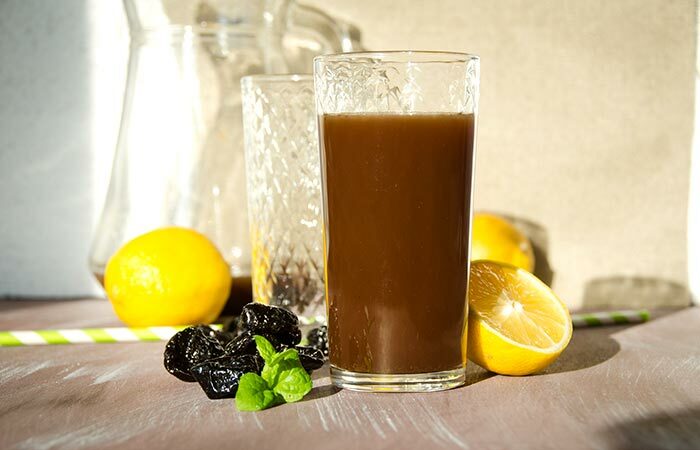 Prunes and their juice are commonly used to treat constipation. They are rich in fiber and sorbitol content that soften the stool and help it to pass out of the body easily (4). Extract fresh aloe gel from the plant’s leaf. Mix this with the orange juice and drink it. Repeat this after 4-5 hours if there is still no relief. 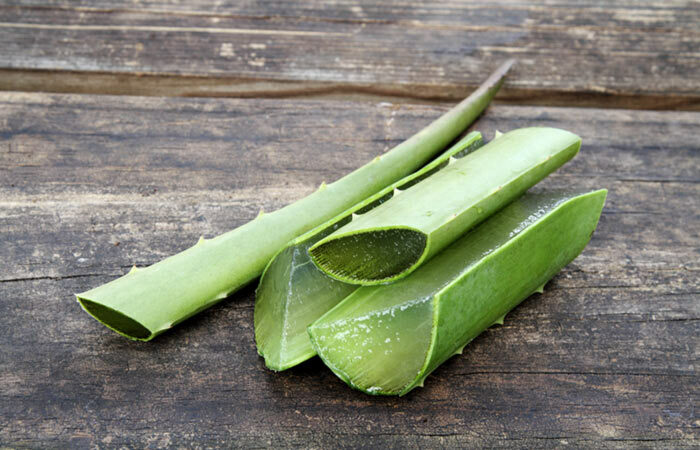 Aloe vera was shown to improve the water holding capacity of stool (5). As this increases, stool passage and elimination becomes an easy process for the body. The aloe gel also lines the intestines and smoothens this elimination process. When you look at natural remedies for constipation, chances are that you will find oranges among the list. According to experts, eating one or two oranges every night before you go to bed and in the morning can also help prevent constipation. Make oranges and/or orange juice a part of your daily diet in order to keep your digestive system functioning optimally. We hope this post has helped you. Do tell us by commenting in the box below. We would love to hear from you!